Orlando, El Paso, Chicago. 3 trips over 2 months. Planes, trains & automobiles (quite literally). This is part 3 of a summer travel series: automobiles. Summer is a great time for a road trip! 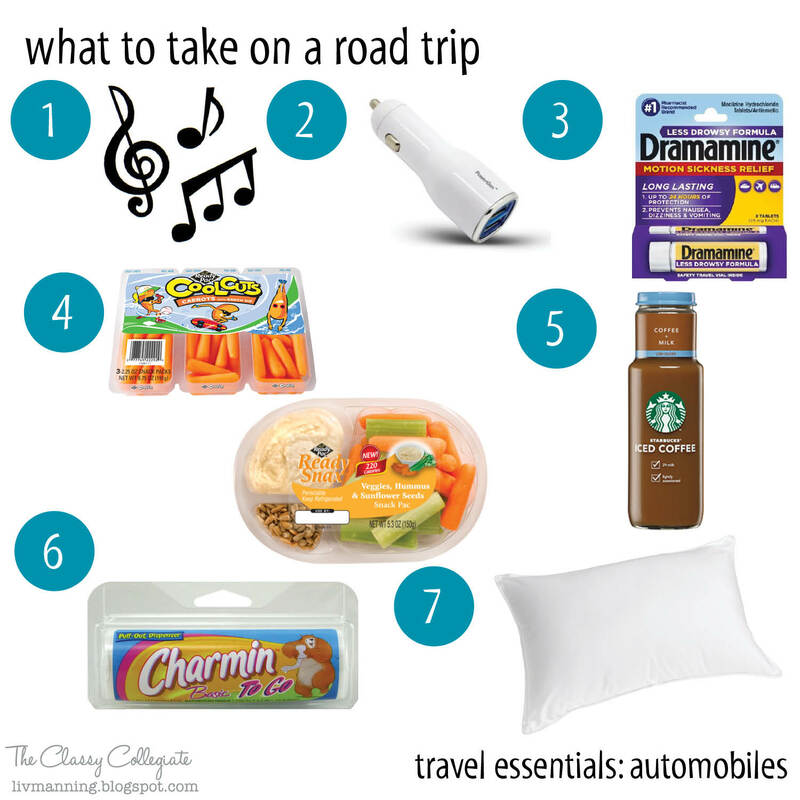 Whether you go for 3 hours or 16, these essentials will get you through the trip. 1. playlist | Every great road trip needs an equally great playlist. 2. car charger | No one likes a dead phone. 3. dramamine | I can get super car sick on long rides. If you buy the regular variety, it’ll help you sleep too! 4. snacks | Yes, this links to a blog for moms. But there’s tons of great snacks. For snack ideas think trail mix, humus, veggies, fruit, nuts, ect. 5. starbucks | No road trip is complete without some caffeine! Since it’s summer, I like to stick with iced drinks like an iced coffee or iced chai latte. 6. toilet paper | You never know what kind of icky bathroom you’ll come across! You might want some hand sanitizer too (just in case). 7. pillow | During a really really long ride, sometimes it’s best to just sleep. Be sure to bring a couple of extra pillow cases if you won’t be able to do laundry. What’s on your essentials list? P.S. Before you go on a road trip, it never hurts to take your car to a mechanic to get it checked out! You don’t want something to go wrong in the middle of no where.